The purpose of this article is to report the maxillary sinusitis caused by the extruded root canal material into the sinus. A 35-year-old woman was referred to our clinic with facial pain, accompanied by sinusitis, swelling, tenderness to palpation and sensitivity to chewing in the right maxillary region. The radiograph showed extruded gutta-percha (GP) from the apex of the right maxillary second premolar into the maxillary sinus. A well-circumscribed radiopaque mass in relation to the root and extending into the sinus owing to chronic inflammation was easily observed. Surgical management was performed under local anaesthesia. The inflammatory tissue around the apex of the tooth was removed by the help of a curette. The root end and the extruded GP were resected with a fissure bur, and the sinus was irrigated with saline solution. An initial panoramic radiograph will reveal the proximity of the apices to the maxillary sinus. Using an electronic apex detector, applying a good apical stop, or moderate condensation will help to avoid overfilling or overextending of the endodontic material. Besides, periapical radiographs can also be taken to avoid any mistakes. However, contaminated root canal materials can easily induce maxillar sinusitis or aspergillosis. Nair UP, Nair MK. Maxillary sinusitis of odontogenic origin: cone-beam volumetric computerized tomography-aided diagnosis. Oral Surgery Oral Medicine Oral Pathology Oral Radiology Endodontics2010;110, e53-7. Kretzschmar DP, Kretzschmar JL. Rhinosinusitis: review from a dental perspective. Oral Surgery Oral Medicine Oral Pathology Oral Radiology Endodontics 2003;96, 128-35. Brook I. Sinusitis of odontogenic origin. Otolaryngology Head and Neck Surgery 2006;135, 349-55. García B, Peñarrocha M, Peñarrocha MA, Von Arx T. Apical surgery of a maxillary molar creating a maxillary sinus window using ultrasonics: a clinical case. 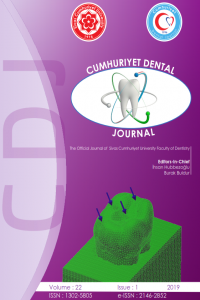 International EndodonticJournal 2010;43, 1054-61. Yamaguchi K, Matsunaga T, Hayashi Y. Gross extrusion of endodontic obturation materials into the maxillary sinus: a case report. Oral Surgery Oral Medicine Oral Pathology Oral Radiology Endodontics 2007;104, 131-4. Yaltirik M, Koçak Berberoglu H, Koray M, Dulger O, Yildirim S, Aydil BA. Orbital pain and headache secondary to overfilling of a root canal. Journal of Endodontics 2003;29, 771-2. Khongkhunthian P, Reichart PA. Aspergillosis of the maxillary sinus as a complication of overfilling root canal material into the sinus: report of two cases. Journal of Endodontics2001;27, 476-8. González-Martín M, Torres-Lagares D, Gutiérrez-Pérez JL, Segura-Egea JJ. Inferior alveolar nerve paresthesia after overfilling of endodontic sealer into the mandibular canal. Journal of Endodontics2010;36, 1419-21. Mehra P, Murad H. Maxillary sinus disease of odontogenic origin. Otolaryngologic Clinics of North America2004;37, 347-64. Review. Wallace JA. Transantral endodontic surgery. Oral Surgery Oral Medicine Oral Pathology Oral Radiology Endodontics1996;82, 80-3.
aspergillosis of maxillary sinus, a complication of dental treatment. The Lancet 1983;26, 1260. Legent F, Billet J, Beauvillain C, Bonnet J, Miegeville M. The role of dental canal fillings in the development of Aspergillus sinusitis. A report of 85 cases. Arch Otorhinolaryngol 1989;246, 318-20.